Greece’s property market is on the up, with a much healthier outlook than for a long time. For three quarters in a row, according to data from the Bank of Greece, prices have been rising. That’s the longest sustained rise since 2008. We’ve certainly seen these nationwide trends reflected here on the islands. In fact, right over the last three years, we’ve seen a huge return of interest in the property market in Greece. This is for a number of reasons, including economic stabilisation, greater letting flexibility and international transport links. Tourism is flourishing at every level of the market. The larger islands have had a huge increase in the numbers of flights during the summer months, from a wide range of destinations. There is a high footfall from cruise ship clients visiting the islands for short periods. Many of the independent travellers stay in local accommodations, booked via online providers, which has opened up a wide range of properties at all price levels, including properties which previously would not have been considered as holiday lets. (In a village close to my home where until 2 years ago there were just 2 holiday village homes, in 2018 there are now 70, of all shapes, sizes and prices). The success of tourism has a direct impact on property. The greater the influx of tourism, the better known the locations become and more people consider buying in Greece. At the other end of the scale, 3 additional 5*+ hotels have opened in Corfu. There are more scheduled to open in 2019, bringing with them visitors interested in property at a higher price level. The northeast coast of Corfu, in particular, has always had interest from wealthier international buyers. However, there are now buyers looking at other coastal regions. Read your free Negotiation Guide to get the best possible deal for your budget. The success of tourism has a direct impact on property. The greater the influx of tourism, the better known the locations become and more people consider buying in Greece. Popular TV series such as The Durrells also have a positive effect (Corfu has seen this most recently). 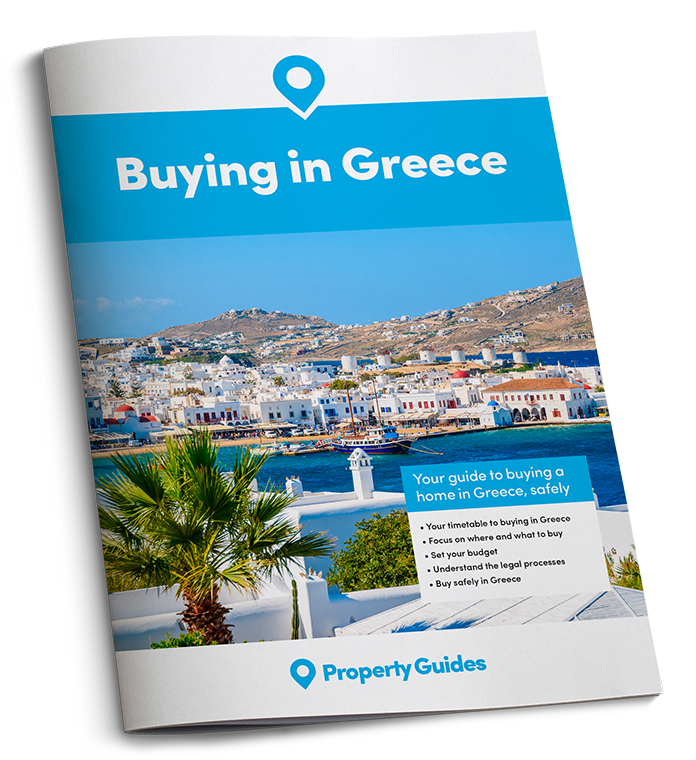 Buyers have an infinite amount of choice in the type, style, location and price of their property purchase and therefore virtually anyone wishing for a home in the Greek Islands can find something in their price range. How does the island property market in Greece work? It is very difficult to quantify and provide statistics for the Greek islands, particularly those which are successful tourism destinations. The property types and trends bear no relation to the property market in the major Greek cities, which are invariably those areas quoted in statistics. The Greek islands are very much a ‘niche’ market. There are few large developments or apartment complexes, with most sale property comprising individual homes, traditional houses for renovation or land plots for new build. The strengthening tourism industry has helped to bolster the property market in Greece. It is not unusual for estate agents to have several hundred properties, many of which will have been on the market for some time. As with in other areas the situation is one of location above all else. This governs saleability and price. Good properties close to the beach, with stunning views, carry a price premium. Likewise, so do those with good letting potential, but increasingly interesting rural or traditional properties are also in demand. This picture is reflected in all tourist areas. In its turn, it is securing buyer’s confidence in property. As well as transport links, and proximity to the rest of Europe, Greece has many advantages for buyers. One particular one is that it is a safe destination. Crimes against the person virtually unheard of, and crimes again property very rare. Buyers can let their properties easily if they are looking for an investment as well as a holiday home, assistance and staff are easy to find, with many agents offering assistance to buyers even after they have purchased their properties. Much of the infrastructure of the property market in Greece is geared up to UK speaking buyers. You’ll find lawyers, engineers, accountants fluent in English. Plus, you can get online banking in English, multilingual staff in commercial enterprises and government offices. Many locals have English as a strong second language. How realistic are advertised prices? Sellers always pitch the price higher because the expect bargaining from the buyers, and buyers tend to start quite low. In the end, most parties normally meet in the middle at a full price. Three of our own new builds, for instance, all recently sold at €1,000 below full price. Interest certainly is increasingly. We’re getting multiple viewings on properties that for the past few years might have had only several in the whole season. Equally, we’re seeing properties attracting good interest for good, realistic prices. Some people did tend to overprice properties just before the downturn, often just ‘testing the waters’ of the property market in Greece. For example, we’ve seen one villa originally priced in 2011 at €890,000. It didn’t attract any interest, and should have been priced at around €650,000. Now, prices are approaching those levels again, and it’s on at €595,000 and getting in lots of interest. We’re seeing properties attracting good interest for good, realistic prices. One of the most persuasive points to move here is also that the Greeks love the Brits, and are genuinely flattered when properties are sold to British buyers. That said, they consider Brits might be slightly mad when they buy a ruin in an isolated village. A Greek lady once took me to a potentially very nice house she was selling in a beautiful village with shops, cafés and so on. I asked why she wasn’t refurbishing it for her son and his new wife. She said they didn’t want to live in a village house, when they could have a modern flat on Corfu Town. “Why do foreigners buy the old properties, when you could buy new ones?” They do think we’re a bit batty! Get your free copy of the Viewing Trip Guide to make sure you know exactly how to make the most of your time and what to look out for. 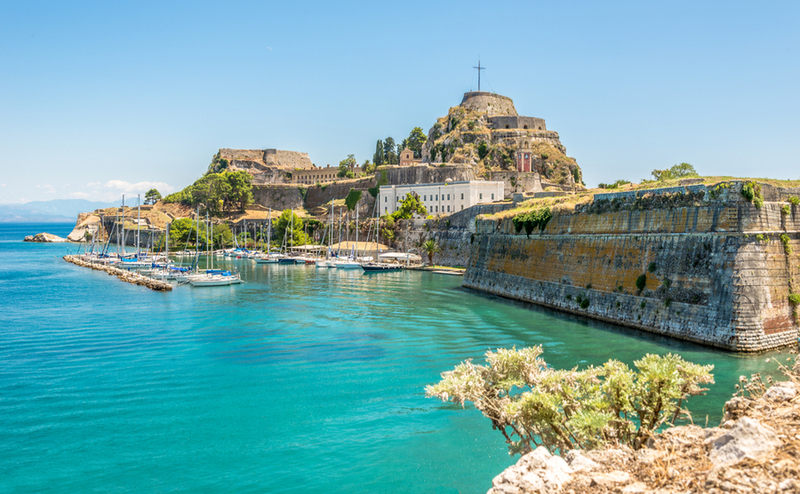 Long may it last, and may we welcome many more to Corfu in particular – there are thousands of us living here very happily, mixing with our Greek neighbours and enjoying their way of life. If you don’t know the region or island well, take the first days driving around scouting out locations. Try to define the purpose of your purchase. We have a lot of people who want something both for themselves and as a holiday let, so it leads to a head/heart conflict. Which is more important, home or rental potential? If you are going to spend lengthy amounts of time here, ask yourself what do you envisage your daily routine being? What do you want your life here to be like? Will you go to the beach a lot? Do you want to garden? Will you want to have easy access to shops? Do you want to be in a more tourist area, or near or in a Greek village?